MIX 106 FM has become a very popular radio station of Hamilton, Bermuda in a very short matter of time with ther friendly approach towards their listeners. 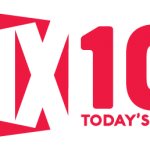 MIX 106 FM listener means a lot, the station wants to present themselves as a station listeners should be happy of. They build a great unity between the listeners and themselves so that they may have a good communication between them and their listeners which will result in a more entertainment rich radio station. The Gombey dance is an iconic symbol of Bermudan culture. It mixes elements of British, West African and indigenous New World cultures. In Gombey, dancers have to be male,have to be black and their father has to have been a Gombey dancer and they perform in groups of 10-30 in wild masquerade costumes with brilliant colors and odd angles, meant to evoke the plumage of tropical birds; they are sometimes based on Bible verses. Gombey dances are taught orally, through family members. The dances are energetic, and grow swifter gradually, while the spectators become more wild and energetic. The gombey tradition is at its liveliest during the Christmas season, and is also performed during Boxing Day, Easter, New Year’s Day, football and cricket matches and other festivals and celebrations. The word “Gombey” is related to the Bahamian “Goombay”, a similar dance tradition. It also refers to a specific drum of African origin (see List of Caribbean drums). In addition to the Bahamian Goombay tradition, Gombey is similar to some other Afro-Caribbean styles and celebrations (such as the Mummers). Afro-Caribbeans brought to Bermuda as slaves or convicts during colonial times introduced other Caribbean traditions.